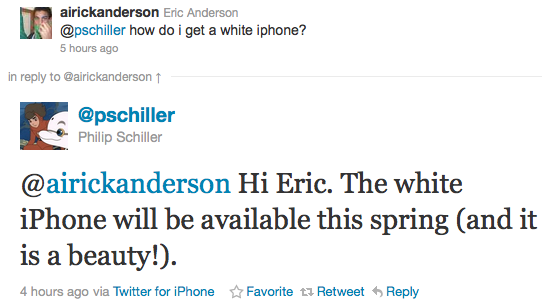 White iPhone 4 To Be Available This Spring? This is actually the first time Apple has been in direct contact with it’s customers and a news such as this deserves to be announced at a much bigger scales, The Twitter account has been verified and confirmed to be the VP himself in case you were wondering. Only time will tell if the VP’s words are indeed true or not.